Everyone is talking about sustainability but what about the sustainability of our organisations and their people? By 2013, Steve Glaveski had spent almost a decade working for large professional services firms and investment banks. He was, above all, a frustrated intrapreneur, with his ideas stifled by bureaucracy and the status quo at big firms. He raised funding to pursue his own web startup and left the world of the big corporates...for a while. 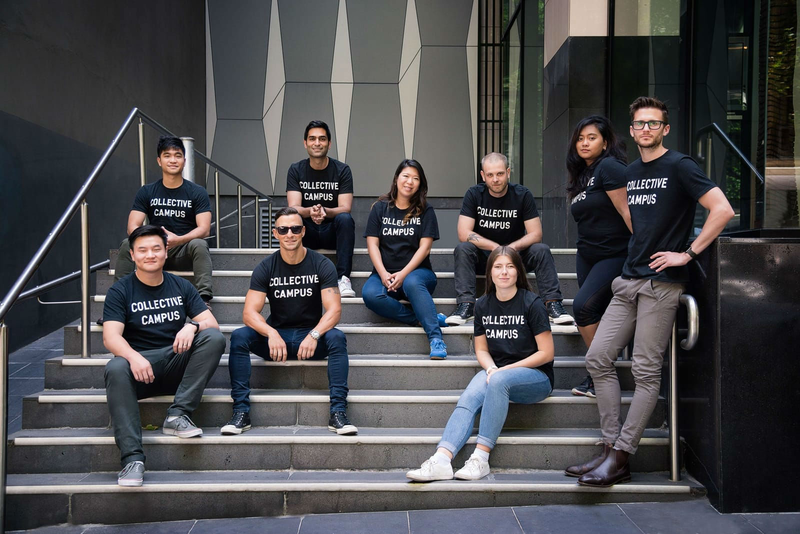 Sean Qian had started Collins Collective, a tech startup hub that he had established in Melbourne’s CBD. Sean was a science buff and ran conferences on the topic, having brought the likes of Neil deGrasse Tyson on his first appearance in Australia. It was at Collins Collective that Sean and Steve first met. Fast forward two years. Both Steve and Sean were seeking to work on something bigger, something more impactful and meaningful. Armed with deep experience in both the corporate and startup world, the pair decided to join forces to help frustrated intrapreneurs, just like Steve was, unlock their potential to create more impact and help large organisations navigate the fast-paced, volatile and uncertain realities of today’s business landscape. What started out as a simple experiment on Meetup - “will people sign up to a ‘lean startup for corporates’ class?” - slowly evolved into Collective Campus, a corporate innovation accelerator that works with large organisations to help them adopt the mindsets, methods and tools required to survive these new realities. Today, we help large organisations to discover, not just deliver, to explore, not just execute, and we’ve worked with the likes of Clifford Chance, BNP Paribas, Microsoft, Village Digital, Asahi, MetLife, Telstra, King & Wood Mallesons, National Australia Bank, Singapore Pools, Ascendas Singbridge and numerous others across Melbourne, Sydney, Singapore, Auckland, Hong Kong, London, New York, Frankfurt and Amsterdam. We are a team of entrepreneurs, designers, builders, thinkers, rebels, writers, philosophers and more. We jump out of bed each morning to create impact to work on something bigger than ourselves. To unlock people’s latent potential to create impact for humanity and lead more fulfilling lives. We believe in the power of experimentation, in challenging the status quo, in optimising and continuously improving - every day - in order drive long-term sustainable growth and impact. We don’t make excuses. We don’t pass the blame to external people, factors or events. We take extreme ownership for our work. We take responsibility for all outcomes, put the customer first and always look for ways to solve problems. River cuts through rock not through power but through persistence. We drive relentlessly towards delivering on our mission, seeing obstacles in our way as necessary to help us learn, grow, build character, differentiate ourselves and move us forward. Purpose is the world’s greatest performance enhancer. As such, we focus on the work that matters - work that unlocks people’s potential so that they can create more impact for humanity. We demonstrate compassion, fairness and respect by standing in each other’s and our customer’s shoes before making and acting on decisions. We believe that a team of committed, cross-functional people with a growth mindset, an intense customer-centric focus and a culture of rapid experimentation has no limits on what it can achieve. We demonstrate emotional awareness and intelligence in all of our interactions and believe that talents and abilities can be developed through effort, intentional learning and persistence. We don’t let ego get in the way of meaningful progress. We show gratitude for the freedom we’re fortunate enough to have to practice these values, unlike many less fortunate people around the world. We work towards giving more people these opportunities and always take pause to celebrate both our and our clients’ wins. We engage in thoughtful disagreement and exchange ideas without creating lasting conflict, even when ideas are controversial, based on a guiding philosophy of ‘strong opinions, weakly held’. We provide constructive feedback to each other and our clients empathically so that we get better as individuals, as a company and as our clients’ trusted partner. Steve Glaveski is an entrepreneur, keynote speaker, author and podcast host whose mission is to unlock the latent potential of organisations so that they can create more impact for humanity and empower their people to lead more fulfilling work lives. Steve wrote the Innovation Manager's Handbook which was an Amazon bestseller, hosts two podcasts, Corporate Innovation School and Future², the latter winning the inaugural Australian Podcasting Awards People’s Choice award in the Business category, and is a keynote speaker on the topic of corporate innovation, having graced the stage at conferences such as Pause Fest, CPA Congress and IBM Symposium. 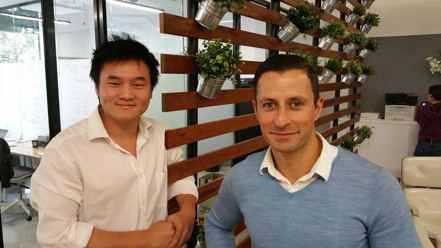 He previously founded HOTDESK, an office sharing platform and has worked for the likes of Westpac, Dun & Bradstreet, the Victorian Auditor General's Office, Ernst & Young, KPMG and Macquarie Bank. When not working on the innovation strategies of both his clients and of his team, Steve can usually be found riding his motorcycle, in the gym, at the beach or listening to the latest record from Iron Maiden! Sean is the COO and Co-Founder of Collective Campus and Lemonade Stand. Since joining forces with Steve to create Collective Campus, Sean has worked across all of the organisation’s projects including its bootcamps, hackathons, and corporate accelerator programs with Village Roadshow, Microsoft, Charter Hall and Microsoft. One of Sean’s drives at CC is to connect more startups with corporates so that both entities can benefit from each other’s strengths. 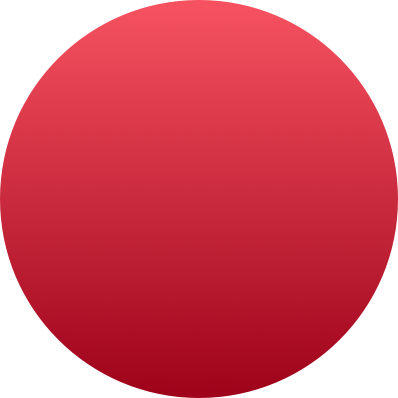 On this, Sean oversees and facilitates the hundreds of startup & community events that CC hosts each year, and is an active proponent of the local ecosystem, having been a guest judge at pitch events such as Microsoft’s Imagine Cup finals, Angelcube accelerator, and StartupVic pitch nights. More recently, Sean co-founded Lemonade Stand, a children’s entrepreneurship program for 9-12 year old which has seen more than 600 students participate in Melbourne, Sydney, Brisbane and Singapore since its inception in 2016. He is now working with the team to reach kids all over the world through Lemonade Stand Online. Prior to starting Collective Campus, Sean founded startup coworking spaces Collins Collective and Queens Collective. He also co-founded a national events and touring company which he exited in 2012. Charity leads digital marketing at Collective Campus and is also Head Designer, overseeing all marketing and branding of the Collective Campus identity. As a designer with over ten years’ experience, she brings with her a keen eye for detail, combined with a strong passion for technology. Charity was also one of the earliest members of the Collective Campus team. Her positive attitude and genuine nature placed her as a natural fit for the Chief Experience Officer role. Charity ensures that the coworking aspects of Collective Campus consciously nurtures an attitude focused on fostering a strong sense of collaboration. Shay is the General Manager of Customer Strategy at Collective Campus. He has over 9 years of experience working across a wide range of projects focusing on customer experience, design thinking, innovation and digital transformation. He has gained his experience across several consulting firms including Ernst & Young, Capgemini and Accenture. A regular facilitator/speaker, Shay has worked with and provided advice to leading Australian and Global organisations including NAB, Westpac, Qantas, Coca-Cola, Clifford Chance and BNP Paribas. As the resident Design Thinking expert, Shay has supported organisations in upskilling employees in the human-centred approach, while also driving culture change. Along with his understanding of the corporate world, Shay has a successful background in startups. Shay has co-founded two fashion startups that have had products stocked in over 40 stores across Australia. After building strong social followings, his brands have also been featured in key publications including GQ and The Daily Telegraph. In his free time, Shay (aka DJ Shaymeless) is an aspiring DJ and an avid NBA fan. Frances is the General Manager of Innovation and Strategy at Collective Campus. She is an innovation consultant, brand strategist and customer champion. Her career spans the private and not-for-profit sectors in finance, business operations, marketing research, project management and business model development. She is passionate about empowering organisations to achieve innovation excellence, whether it’s in delivering outstanding customer experiences or cultural transformation. With her innovation consulting expertise, Frances has been a trusted advisor to her clients’ branding, service quality and product development needs. She brings experience across a broad number of sectors including telecommunications, FMCG, education, energy, logistics and real estate. What excites her is using innovation methodologies that generate actionable strategies for organisations. She is most fulfilled when these strategies inform commercial decision-making and new growth opportunities. Alec Sloman is a technical facilitator who speaks on subjects including computing, technology, public policy, and Blockchain. He is interested in the intersection of computing and law which he considers to be a very special and very uncertain area - perfect for a curious mind. A software developer at heart, he has taught classes at General Assembly, Code for Australia, Global Law Firms, and many others. He’s a confident and passionate speaker, sure to both entertain and illuminate. Paulina has over 8 years of experience and a proven track record in business administration, lead generation, social media marketing, and research, with clients from Australia, the United States, the United Kingdom, Germany, Ireland, and Singapore. She is also a professional academic and content writer. Outside of her professional career, Paulina is extremely passionate about animal welfare. She founded and ran a non-profit animal welfare group to rescue stray, abandoned, and abused dogs and cats. The group raised funds for their veterinary care and rehabilitation, and found them good homes once they were fit for adoption. Steve Glaveski is an entrepreneur, keynote speaker, author and podcast host whose mission is to unlock the latest potential of organisations so that they can create more impact for humanity and empower their people to lead more fulfilling work lives. Brian is a product thinker with a background in UI/UX design, front-end development, and he was an executive member of a venture-backed and exited startup. His expertise lies in the many facets of early-stage customer development, prototyping and MVP testing.A teacher at heart, Brian's career in product consultation and public speaking owes a debt to his early career as a middle school teacher that has prepared him well for a life of presentations. Brian Cotter first experienced the power of creativity and innovation in the middle of a lake in northern Wisconsin but it wasn’t until he booked a one-way ticket to Vietnam that it became is passion in life. Brian has lived in Ho Chi Minh city for 12 years, exploring the chaotic cityscape that inspires creativity and drives a new generation of Entrepreneurs. From emerging technology to human-centered design, Brian consistently strives to help organizations evolve towards future success. Humphrey Laubscher is a Product Innovation Coach. He helps corporates and startups apply Lean Startup, Design Thinking and Agile methodologies to build innovative products using small cross functional teams that maximise learning while being capital efficient. Maria F. Patino is a business designer, able to understand corporate challenges and applying the agility that characterises digital startups for the development of innovative solutions. With more than 10 years of experience in corporate business development and 4 years working with digital entrepreneurs, Maria uses methodologies such as design thinking and customer development, to understand customer needs, and integrate digital technologies, business strategy, and financial analysis, helping business to create a market differentiator with new products and services. Paul Xuereb has over 15 years of professional experience, with a background that incorporates a number of areas of the IT landscape including Strategy, Planning, Innovation, Software Development & Delivery. As a leader in the area of Emerging Technologies, Paul is a specialist at identifying how businesses can best leverage the disruptive power of new technology to deliver value for businesses and customers. Paul has worked in the Financial Services industry for thirteen years including Vanguard, one of the world's largest Investment Managers and AustralianSuper, which is Australia's largest Superannuation / Pension fund. Angelo is the Head of Marketing for OHM Power an Energy Tech Startup, Funded by Energy Labs and Origin (a tier one(1) Energy conglomerate in Australia). Angelo worked with some of the fastest growing and award-winning startups in Melbourne, such as Konnekt, Choice Energy, and Ohm Power doing digital marketing, CMS web design and development, as well as Implementing marketing automation for process improvement. Shwetank Verma is an innovator and entrepreneur. Previously, Shwetank led open innovation for MetLife Asia and was part of the management team of LumenLab, MetLife's internal innovation consultancy. At MetLife, Shwetank advised MetLife's country CEOs and senior leaders on growth, startup collaboration, new product development and lean startup techniques. He has extensive experience in emerging markets, particularly in India, Bangladesh, Vietnam, and Malaysia and emerging technologies like AR/VR, AI, Blockchain and IoT. John leverages his experience across a myriad of verticals, company sizes, and technical environments, in roles including coach, trainer, software architect, product manager, and management consultant. Passionate about helping companies deliver more value to their customers. Vendor & methodology agnostic, looks to use the right tool to address your situation, and transform your business challenges into competitive advantage. For over 12 years and across four continents, Shan has worked on start-ups and private and public sectors to think differently, re-imagine their products and services, and deliver unprecedented business value. Shan has played a leading role in establishing innovation labs for iconic organisations such as PwC and Melbourne Smart City Office to build a culture of innovation in these organizations. Cayetana Martinez is passionate about the transformative power of open questions. She works in the intersection of entrepreneurship education, agile learning and business. She has a BA in Philosophy, two MAs in Humanities and an MBA. Throughout her professional career, she has worked in different roles in the startup space in Europe and in Australia. Cayetana is committed to support her students and clients to acquire an entrepreneurial mindset and to launch feasible and meaningful businesses. She is a TEDx speaker and a CSIRO mentor and has worked in some of the most prestigious universities in Australia and with some of the most exciting, curious and vibrant entrepreneurs. Currently Cayetana works at UQ's Idea Hub as the Entrepreneurship and Relationships Manager and teaches different subjects related to entrepreneurship online and F2F. Anita Bortolotto is a marketing and communications specialist and content creator. She has over ten years' experience across various industry sectors including: Primary & Higher Education, NFP Aged & Disability Care, Recruitment, Boutique Retail, Luxury Hotels & Law. Warren is an experienced innovation leader with global experience in Digital and Transformation. Proven track record consulting to C Level to identify opportunities, design and then deliver solutions. Co-founder of patented Cyber firm currently valued at $7M+ and investor/mentor to several Start-ups. Execution of new Digital platforms and Transformation in both emerging and mature markets. With over 20 years’ experience consulting and working for blue chip corporates, Gavin's work has taken him across Australia, US, UK, European and Asia Pacific markets, servicing clients within the Insurance, FMCG, Superannuation, Energy and Sports & Entertainment sectors. Richard Burton has over 15 years professional experience and depth of expertise in areas of design thinking, organisational re-focus and transformation, including Strategy, Innovation, NPD, Marketing, Customer Insight, Planning & Project Management. Richard has worked in the Energy industry at EDF, one of the world’s largest energy generators and suppliers, as well as Financial Services for Barclays and NS&I. Richard's early career was spent in advertising and direct marketing in SME and start-up businesses.